Thermodynamics provides us with some of the most fundamental laws of our universe. Graphic novels provide us with one of the most powerful media for storytelling. Together, they provide us with a unique way to research learning. The Phoenix Corps is the culmination of a collaboration between a learning researcher, course producer, engineering professor, and instructional designers from Stanford University and a visual artist from the School of Visual Arts. 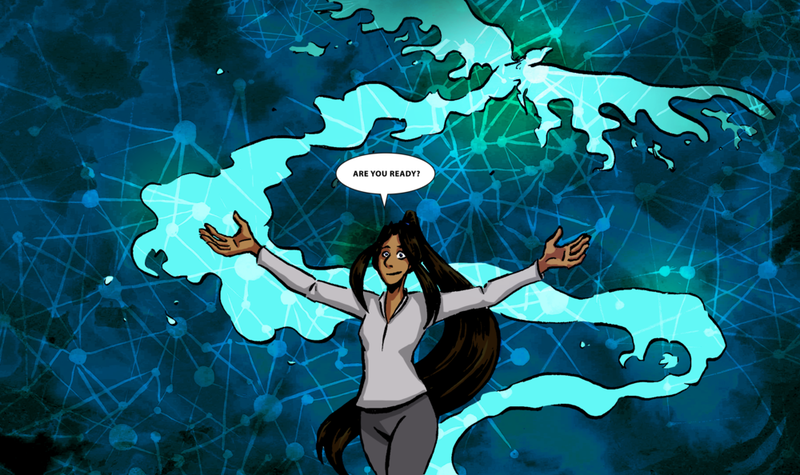 The graphic novel blends experiencing a near-future science-fiction narrative with learning basic thermodynamics principles. Apart from opening up new ways to learn thermodynamics, The Phoenix Corps also opens up graphic novels as a new way to research how people learn thermodynamics. and the journey it inspired.